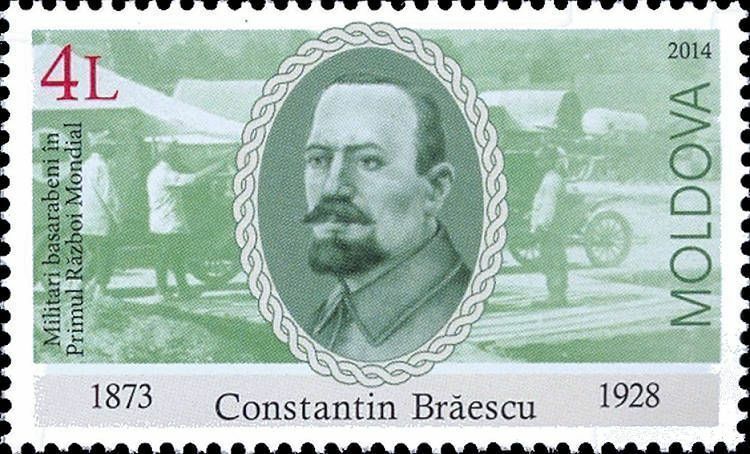 On 22 November 2014, the Post Office of Moldova (Poșta Moldovei) issued a series of postage stamps with the title Bessarabian Soldiers of the First World War. The issue comprises three stamps, with associated cancellation (postmark) and first day cover (FDC). The designer was Alevtina Cojocari. The printing was performed by Nova Imprim, Chişinău. 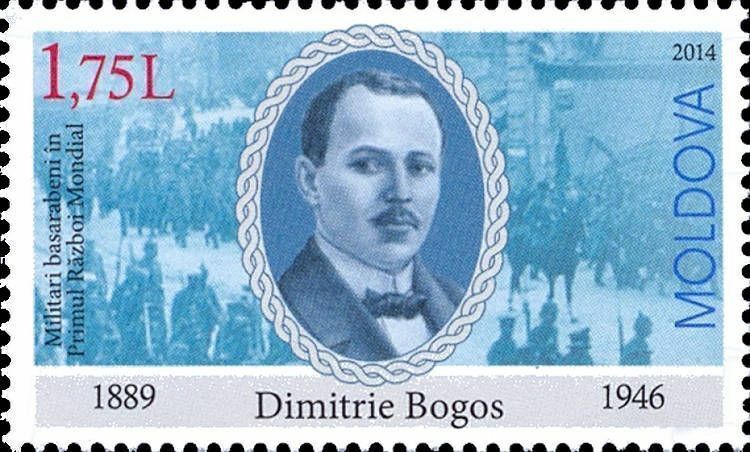 Dimitrie Bogos (born 14 June 1889, Grozești - d. 14 May 1946, Bucharest) was a Romanian politician. Read more.. This article uses material from the Wikipedia article 'Dimitrie_Bogos', which is released under the Creative Commons Attribution-Share-Alike License 3.0. 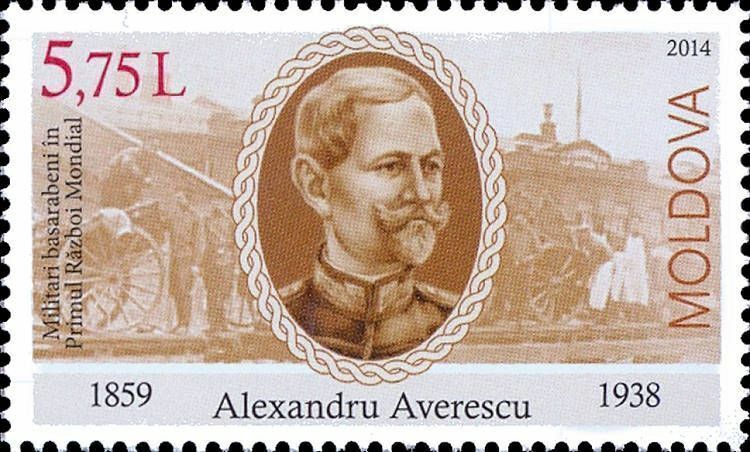 Alexandru Averescu (Romanian pronunciation: [alekˈsandru aveˈresku]; 1859–1938) was a Romanian marshal and populist politician. A Romanian Armed Forces Commander during World War I, he served as Prime Minister of three separate cabinets (as well as being interim Foreign Minister in January–March 1918 and Minister without portfolio in 1938). He first rose to prominence during the peasant's revolt of 1907, which he helped repress in violence. Credited with engineering the defense of Moldavia in the 1916–1917 Campaign, he built on his popularity to found and lead the successful People's Party, which he brought to power in 1920–1921, with backing from King Ferdinand I and the National Liberal Party (PNL), and with the notable participation of Constantin Argetoianu and Take Ionescu. Read more.. This article uses material from the Wikipedia article 'Alexandru_Averescu', which is released under the Creative Commons Attribution-Share-Alike License 3.0.